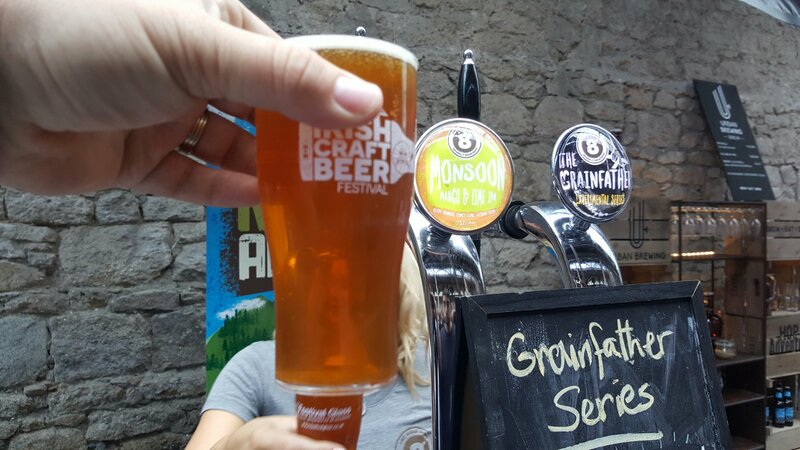 The decline of The Irish Craft Beer Festival? | Simon Says… You really should drink this! 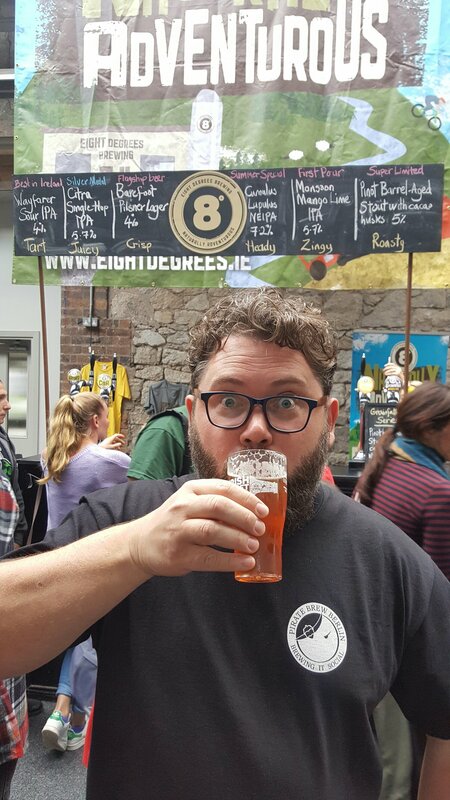 The decline of The Irish Craft Beer Festival? In the week running up to this year’s event I had heard misgivings from ‘industry insiders’ and one online punter mused that he couldn’t see the festival being sustainable in its current form. 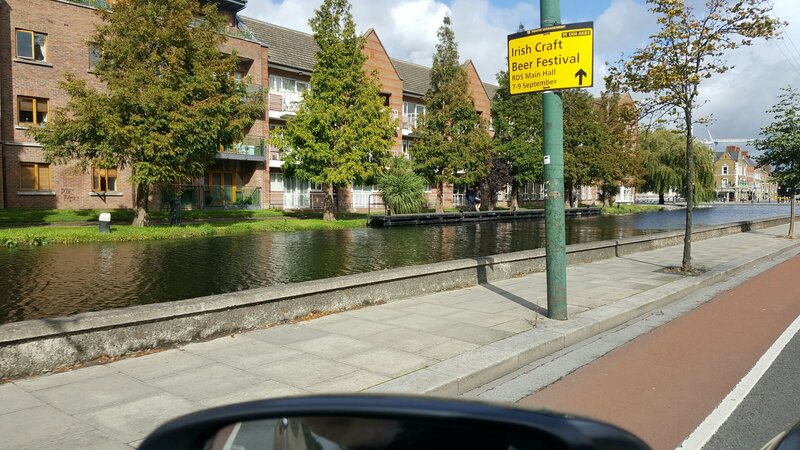 The fact is that, just a few years back The Irish Craft Beer Festival was THE ONLY show in town. 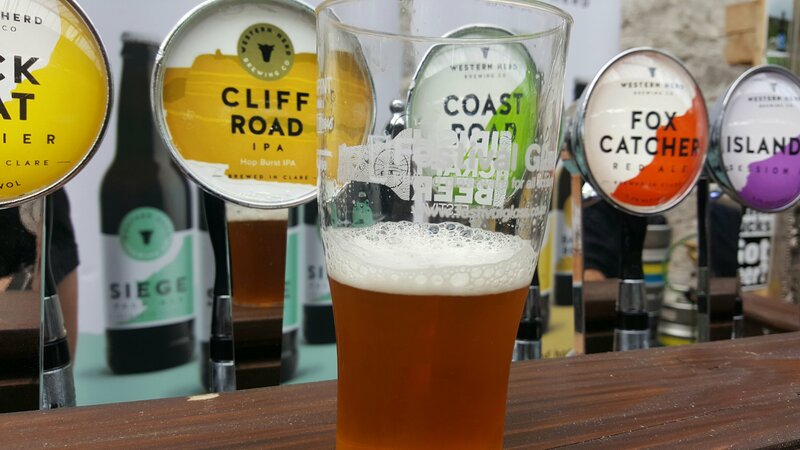 Now, The Great Irish Beer Festival in Cork is giving it a run for its money and you also have the option of attending smaller, more local festivals like Yeast Meets West which also took place this weekend. Or you could hop on a short flight to Beavertown’s bash in London. Those events give punters and brewers an awful lot more choice. So yeah, there has been a decline in the number of breweries taking part in the festival from what I perceive as a high point in 2014. On the flip side, one of the brewers I spoke with said that takings were well up on the previous year. So he definitely saw the positive in having less breweries in attendance. I went in to the hall with somewhat lowered expectations coupled with the usual fear of missing out. 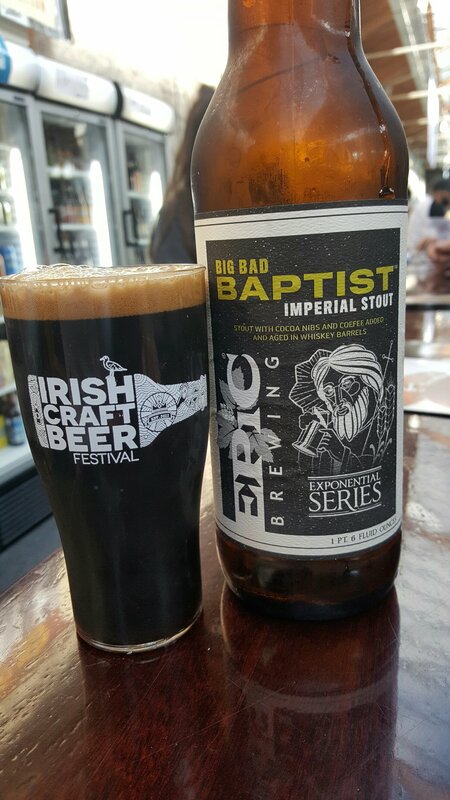 One tip I had heard was to make sure and try the Epic Big Bad Baptist which was on the American Brewers Association stand. So I made my way there first. Always start with the strongest darkest beer possible. Isn’t that the rule of thumb at these things? This lived up to its name, big, ballsy, viscous, chewy, caramel, deliciousness. And I was lucky enough to bag some of the last bottle! I strolled down to Boyne’s bar and picked up a few pals along the way. I tried their pilot Old English IPA. It ticked the ‘does exactly what it says on the tin’ box. Flying in the face of the current trend for American Style IPAs this one packs in English hops instead. Fair play Boyne Brewhouse. By contrast Western Herd’s Cliff Road was very much in vogue. It’s not hazy enough to be a New England Style IPA but when it smells as tropical and tastes as good as it does, who cares? 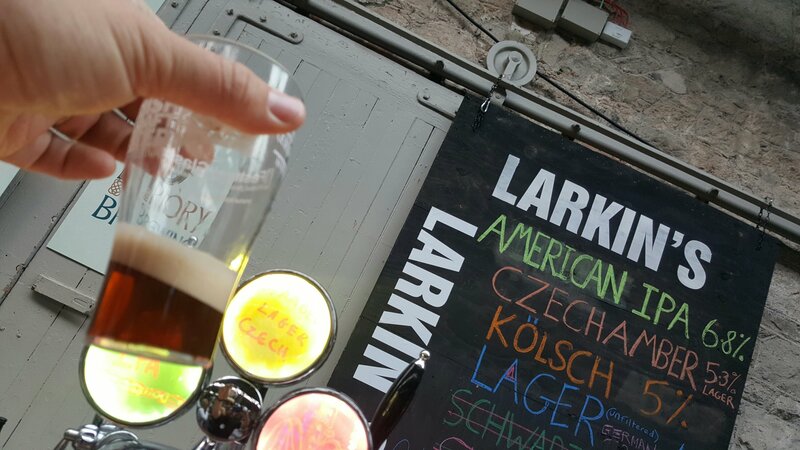 Larkin’s only started brewing in May and it was great to be able to try out some of their beers. The Czech Amber Lager was ‘on point’ as the young folk say. Then it was across the hall to try the Flanders Red Ale from Lough Gill which came highly recommended. It was indeed a tasty drop. They are also making mead which was delicious and quite different to everything else pouring at the festival. I was delighted to see the collaboration with Stillwater sitting waiting for me on Trouble Brewing’s bar. It’s a sour, brewed with hibiscus. Dry, refreshing and interesting. Next I had Eight Degrees Monsoon. It’s a fruity IPA but for some reason it didn’t tickle my tonsils. It is the 445th IPA I’ve checked in on Untappd and I’d say a fair few of those were from Eight Degrees and I have enjoyed the vast bulk of ’em but you can’t win ’em all! By contrast I loved The Grainfather Stout aged in Pinot Barrels with cacao husks. That’s one for sipping of a winter evening. My penultimate beer of the festival was a well crafted Blond from Bridewell Brewery. Another newcomer, taking the well worn path of starting out with a Blond and a Red, not very original, but, well executed in fairness. 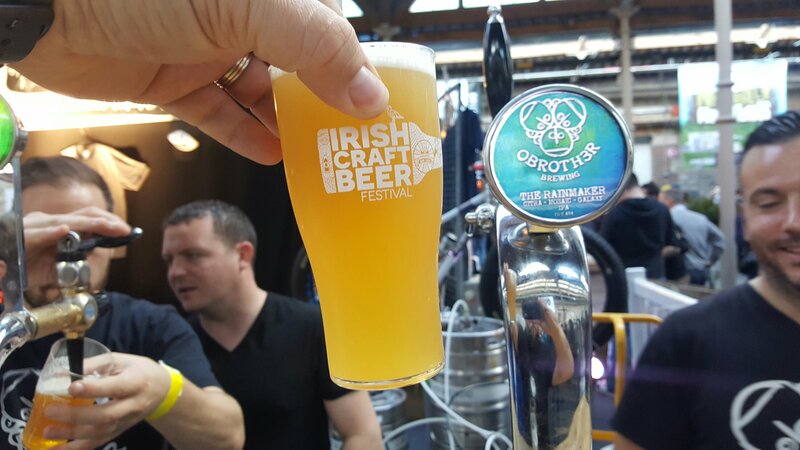 The very last beer of the afternoon was a mighty fine IPA from O Brother called The Rainmaker. Those lads are fierce handy at the IPAs and this was a juicy banger. On the whole, I have to say I enjoyed the event, there was a nice crowd and a pleasant atmosphere. It isn’t perfect and we all want to drink from real glasses. But it was good to see some new brewers coming along and to try new beers from the more established breweries. See you there in 2018. Sláinte! Update…Apparently this is on again…venue TBC! 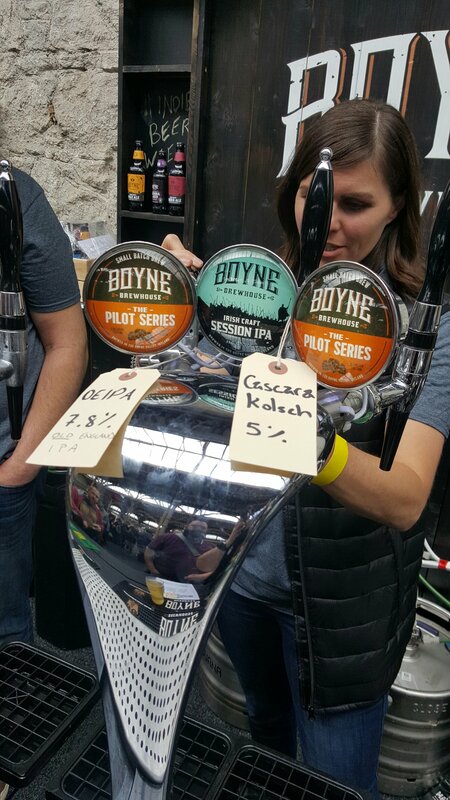 This entry was posted in Uncategorized and tagged Beer, beer festivals, IPA, Irish craft beer. Bookmark the permalink. 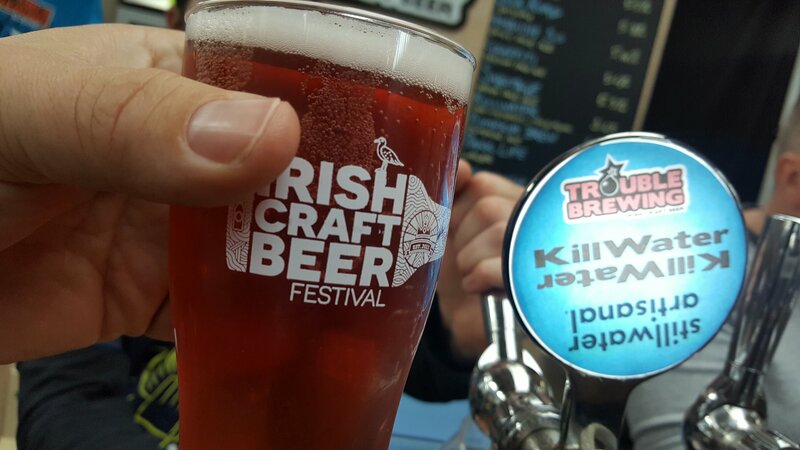 11 Responses to The decline of The Irish Craft Beer Festival? Absolute joke of a festival have been going every year and it has gone down hill every year.10 euro in and closing at 11pm.The first yeah you could hardly move with the amount of brewers there this year they were all at the walls and 3-5 in the center. Frontline security were useless as well.I love my craft beer and will have reservations about ever going again. I wouldn’t have a problem with 11pm closing, I was well gone by then. What was wrong with the security? I’ve gone every year since it’s modest inception and I feel that this year was the first step backwards. Roughly half the brewers compared to last year (as well as half the food stalls, very important for soakage). I don’t know if some of the missing brewers feel like they’ve hit their peak and are beyond festivals now? And as for value? Year one you got a pint glass and a free beer token for your €10 entry, these days it’s just a crappy plastic tumbler. You cannot tell me that the festival is not making money with the thousands paying at the door. I’m seriously thinking of going beerfesting to Belfast or Cork next year for a change. I’m not sure about there being half as many this year compared with last year, as I thought there were less last year as well, so it’s kind of shrinking. I don’t think breweries feel they are too big either but as I said in the piece they have more choice and these events cost the breweries money. I like the look of ABV fest myself and, fair warning, it’s a plastic glass in Cork too! The Festival was a lot better last year. Missing about 6-8 Brewers as well as half the Food on offer. Little or no atmosphere in the Place. Ive been going since the start. Im concered that it was so poor this year. I hate plastic tumblers and small plastic half pints. Were not kids. Get the Act together for next year or die off. Why not say what you really mean Dazza! I think the reason given for the plastic is insurance. But I agree that they should shake things up a bit! I disagree. Last year there were brewers in every corner and some even sharing a desk like the American variety bar this year. There were more whiskey stalls last year too including the Jameson stand( hardly independent but still, I love Jameson) I’m sure the official figures may not be so severe as half but I’d guess minimum 30% reduction in pitches this year. 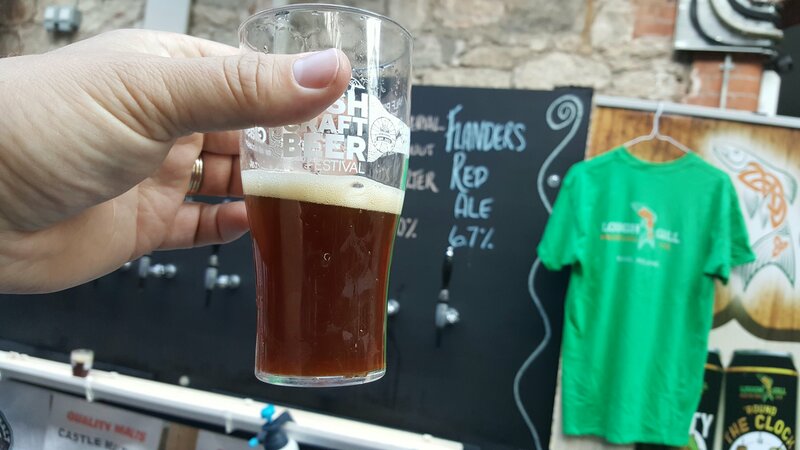 I went to the cork festival and was very disappointed, about 8 to 10 breweries that were there last year were absent this year. There were very few new beer and to make it worst the admission was 15 euro with no free token. . Last year was much better. Not sure I will bother next year. Didn’t go to the one in Dublin. I was working at it last year and I enjoyed it. Sorry to hear it wasn’t as good this year! 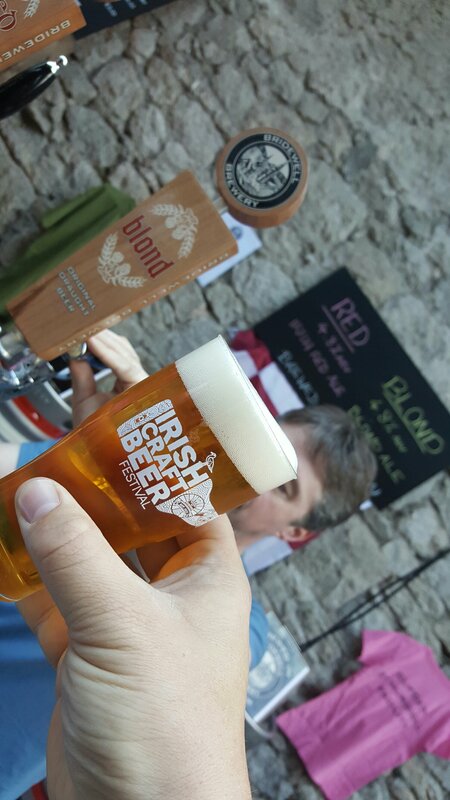 Pingback: The Irish Craft Beer Festival is Reborn! | Simon Says… You really should drink this!